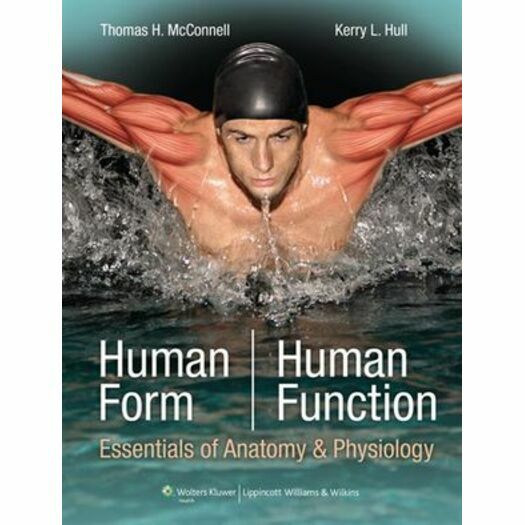 Human Form, Human Function is the first essentials level text that seamlessly weaves together form (anatomy) with function (physiology), an approach that caters to how instructors teach and students learn. Authors Tom McConnell and Kerry Hull incorporate real-life case studies as the vehicle for learning how form and function are linked. Through careful organization, thoughtful presentation, and a conversational narrative, the authors have maintained a sharp focus on communication: between body organs and body systems, between artwork and student learning, between content and student comprehension. Each feature reinforces critical thinking and connects anatomy and physiology to the world of health care practice. This original text offers an exceptional student learning experience: an accessible and casual narrative style, dynamic artwork, and a complete suite of ancillaries help build a solid foundation and spark students' enthusiasm for learning the human body. A companion website will include the full-text online, Podcasts, an online Dissection Atlas, animations, additional review questions, answers to some chapter questions, an online Instructor's Manual, and PowerPoint slides. Case Studies: Each chapter opens with a Case Study. Each of these cases, all of them drawn from real patients, were selected to illustrate the most important concepts discussed in the chapter and serves as the thread that weaves anatomy and physiology together throughout the chapter. Case Notes: Case notes follow sections of content. They are specifically critical thinking questions that help the student to apply the material they have just learned to the case. Case Discussion: Appears near the end of each chapter; applies the chapter concepts to the case in some detail; accompanied by a figure/algorithm that helps students visualize the interrelationships among various aspects of the case, such as the breakdown in normal functions, the effect of medical treatment given, etc. Need to Know: List of topics in the chapter opener (chs 3-18) that the student needs to have mastered before delving into the new material to encourage the student to fully understand key topics before moving onto the next discussion. Major Themes: Provide students with a quick overview of the most important principles that govern the forms and functions discussed. Remember This: These statements occur within the narrative and emphasize the most important ideas, help clarify concepts, or pull together related ideas to help students remember certain important facts. Pop Quiz: Tests students on topics covered within each main section. Students can check themselves to determine whether they have fully understood prior material, before going on to new material. NOT the same as Case Notes. Case notes only relate to the case and how the material in the section applies to that case. Word Parts Table Found at the end of each chapter identifies prefixes, suffixes, and word roots relevant to the chapter content to help assist students in their understanding of A&P terminology. Chapter Challenge: Helps students check their chapter comprehension and will help prepare them for exams; variety of question types. History of Science: Describe discoveries, social issues, or personalities important in the history of anatomy and physiology. For example, a History of Science box in Chapter 1 discusses how medical students of earlier eras sometimes resorted to grave-robbing to obtain cadavers to study. Basic Form Basic Function: Explore intriguing aspects of human form or human function. For example, a Fundamentals of Form and Function box in Chapter 8 explores the question of whether or not we really have a right brain and a left brain. Clinical Snapshot: Explore a disease, injury, method of diagnosis, or medical treatment related to the chapter topic. For example, a Clinical Snapshot box in Chapter 2 (chemistry) discusses medical uses of radioactivity.